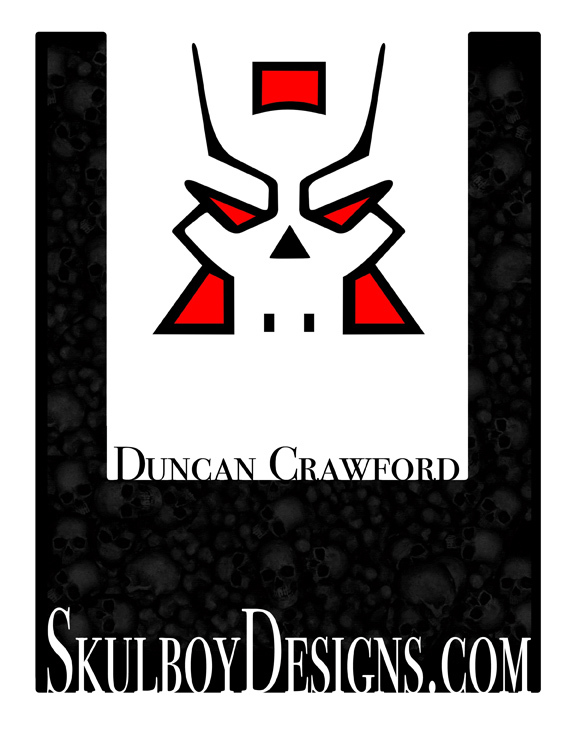 Skulboy Designs is now officially being launched. It's been a lot of work getting everything together and I hope you enjoy what you see. 2010 has been a big Disc Golf year for me and at the moment, Skulboy Designs reflects that. After playing the sport for close to 30 years, this year I learned the Power Grip, played in my first tournaments and started doing Disc Golf related artwork. Here you'll find a gallery of that artwork, photos from tournaments and courses I've played and a store complete with product. That product is my first custom Hot Stamp design on Innova Golf Discs. If all goes well, I plan to have a new stamped disc every 6 months. And if you don't need Golf Discs, come on back soon to see more artwork, a line of apparel and more.